Many natural skin care ingredients have been proven in numerous studies to be quite useful in your anti aging beauty care regimen. A good skin nutrition program is just as important as your food choices to help nourish the beauty in your complexion and keep it rejuvenated and healthy. This sweet indispensable ingredient can be used for numerous beauty recipes, remedies, and treatments. Honey provides many medicinal benefits for skin such as healing properties and preventing infections. The effectiveness of this amazing antioxidant has been shown to be helpful as a natural form of sunscreen to protect from sun damage. Honey’s antibacterial and anti-inflammatory benefits is helpful in the healing of wounds (rashes, cuts, burns) by reducing swelling and promoting/ speeding up the healing process. It is also great in preventing infections and provides a calming effect so it’s very useful in acne treatments. It has the property of killing harmful bacteria that usually results in clogged pores that may develop into blemishes, black heads and acne breakouts. 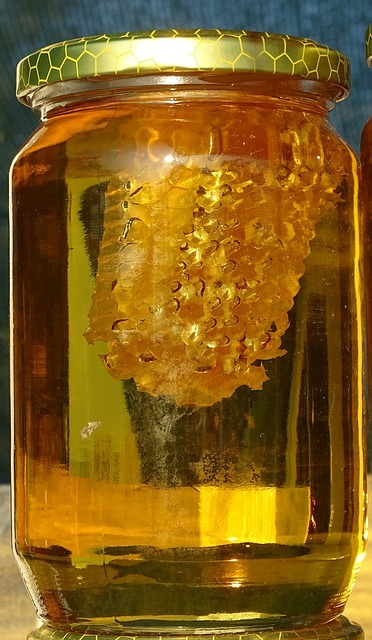 The composition of honey provides an ideal humectant. It has the ability to attract moisture and keep it locked in the skin, making it an excellent natural moisturizer. Due to the humectant qualities, it is especially helpful for dry, parched skin types. Hydrated skin will appear young-looking, soft, and more radiant. The skin is plumped and the appearance of wrinkles is reduced. Honey is a very popular anti aging ingredient and is used alone or combined in many anti aging products or DIY treatments. It stimulates and assists cell regeneration, protects from free radical damage and is known to improve the elastin and collagen protein production. This Halloween favorite is both internally and externally nutritious. It has an abundant source of rich nutrients such as Vitamin A, C, E, K, and a good source of B-complex (ex-B6, thiamin and pantothenic acid) and minerals copper, iron, magnesium, potassium, and zinc - just to name a few. The many components of pumpkin are especially ideal for mature complexions. 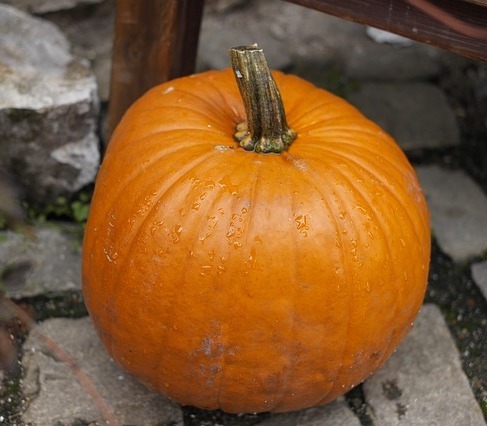 Pumpkins high antioxidants help protect from free-radical damage. Healing nutrients Vitamin A and C help protect from sun damage, rejuvenate, and encourage the growth of collagen that depletes with age. Supporting our collagen and elastin production is important to help maintain a fuller face and support our skin. Vitamin C and K works on any pigmentation problems you may have. Zinc is especially helpful for acne problem types to help control oil production, prevent blemishes, inflammation, and blackheads and also assist in healing. The enzymes present in pumpkin are especially popular to exfoliate and increase cell regeneration. It helps to remove the surface dead cells so skin can produce new healthy layers. This renewal will help tone, clarify, and reveal a fresher younger appearance. It will help to smooth and soften rough patches and wrinkle formations. Dimethylaminoethanol is a popular substance that is used in many anti aging beauty products to help diminish the signs of aging. DMAE helps to reduce free radical damage. Documented benefits have shown improvement to wrinkle formations, under eye circles and an over-all improvement to aging skin. Studies have shown an increase in skin firmness. With age, sagging of the skin occurs when the plumpness is depleated because of the loss of collagen. Increasing the strength and the fiber thickness of the dermal layer tissue will help provide tightening and firmness. Evidence suggests that benefits from use may include facial muscle tone improvement over time and it may reduce sag progression. The small molecule size of DMAE allows the benefit of easily penetrating into the skin to reach deep into the lower layers of tissue.